Extraordinary cheesecake? 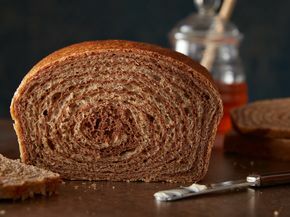 Make one with a scrumptious blend of sweet brown sugar, aromatic spice and homey pumpkin. Heat oven to 325°F. Grease 9-inch springform pan with shortening. Wrap foil around pan to catch drips. In small bowl, mix cracker crumbs, 2 tablespoons granulated sugar and the melted butter. Press crumb mixture in bottom of pan. Wrap foil around outside of pan to prevent drips. Bake crust 8 to 10 minutes or until set. Cool 5 minutes at room temperature. Refrigerate about 5 minutes or until completely cooled. Meanwhile, in another small bowl, whisk flour, pumpkin pie spice, brandy and pumpkin together until well blended; set aside. In large bowl, beat cream cheese with electric mixer on medium speed until smooth and creamy. Gradually beat in brown sugar and 2/3 cup granulated sugar until smooth. On low speed, beat in 1 egg at a time just until blended. Gradually beat in pumpkin mixture until smooth. Pour filling over crust. Bake 1 hour 15 minutes to 1 hour 25 minutes or until set but center of cheesecake still jiggles slightly when moved. Turn oven off; open oven door at least 4 inches. Let cheesecake remain in oven 30 minutes. Run knife around edge of pan to loosen cheesecake. Cool in pan on wire rack 30 minutes. 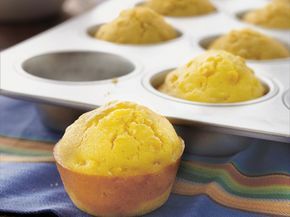 Refrigerate at least 6 hours or overnight before serving. To serve, run knife around edge of pan to loosen cheesecake. Carefully remove side of pan before cutting cheesecake. Store covered in refrigerator. 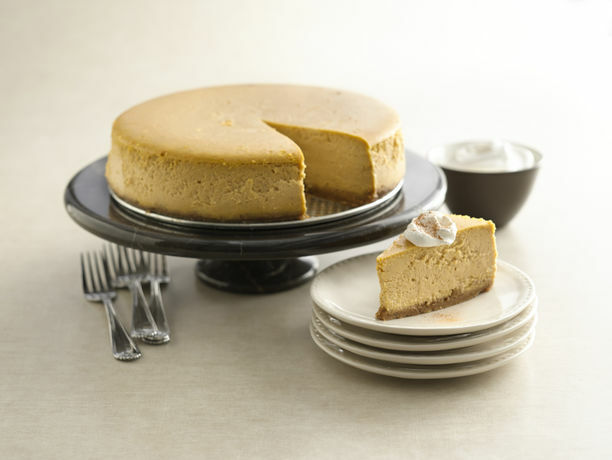 To help prevent cracks in the cheesecake, don't overbeat the cream cheese mixture once the eggs are added. 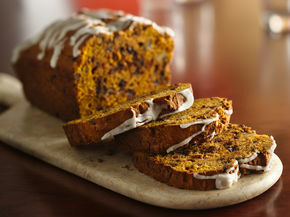 Serve with whipped cream sprinkled with pumpkin pie spice. 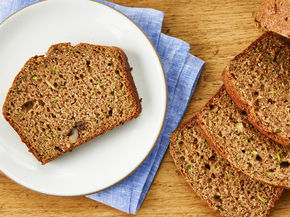 Make your own soft and flavorful marbled rye bread with this recipe.